All competitive business websites need content. Valuable content is what draws in potential customers. It engages potential prospects and helps them discover your business. 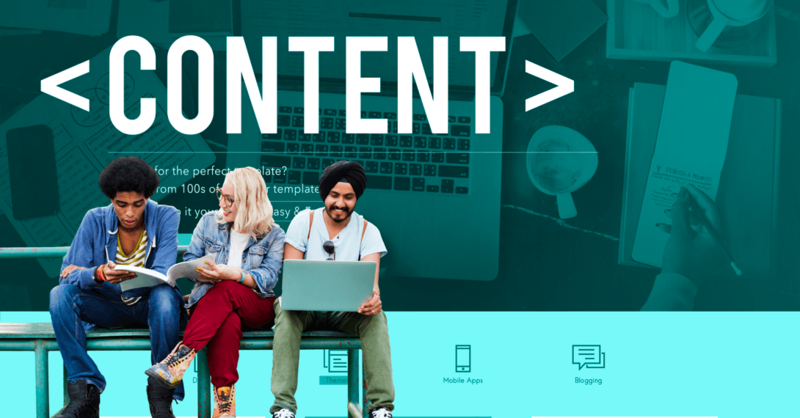 Most companies struggle with competitive digital content - a few great content ideas will only get you so far, but a winning content creation strategy delivers long-term success. The Content Marketing Institute provides a definition of content marketing: "a strategic marketing approach focused on creating and distributing valuable, relevant, and consistent content to attract and retain a clearly defined audience - and, ultimately, to drive profitable customer action." Many builders fail because they can't create "valuable, relevant, and consistent content." They don't have a "clearly defined audience." And most don't know how to "drive profitable action" using that content, either. Most home builders come up with some content ideas they like. They create well-written blog posts that highlight their specialties. Their content tries to convince potential readers what they need in a home. Those home builders may not have created a clear picture of who their readers are. A common mistake made by many home builders is to think about what they're selling more than what their readers need. That type of content doesn't drive any value or sales. Content marketing is more than just good writing. You need a content creation strategy that provides true value. Your strategy should involve frequency of output and an awareness of what your readers want. Let's review the three key elements outlined by The Content Marketing Institute. We'll start with understanding the meaning of a "defined audience." Then we'll discuss how to add "value" and "drive profitable action." You won't get too far if you're trying to market to everybody all at once. There's a specific slice of the home buyer market you'll want to engage with. These should be the individuals who will benefit most from your services. Why do you want to produce content, and what will you accomplish? Is your goal to break into a new market? Or do you want to sell more to the same types of customers? Defining your content creation strategy will help you determine your buyer personas. These are detailed character sheets for your ideal customers. Buyer personas aren't real, but they represent real people that may want to buy from you. Buyer personas provide marketers with a critical understanding of their audience. They're proven to drive qualified leads and increase marketing precision. You should already be aware of some characteristics of your typical buyers, but you may be able to break them into segments as well. Try to write up clear descriptions for each of them. Create personas for those people you want to engage with content. Start by investigating what your target buyers are like. Then write down their demographics, goals, tastes, and what kinds of search terms they use online. A single persona description will include demographics, professional information, and family information. You should include former housing and regional information as well. Then you should qualify your personas. What are their daily problems and frustrations? And what is their motive for wanting a new home? Be careful not to build personas that fit your own needs. Buyers may not be looking for your services alone. Your goal is to identify their pain points to help you develop your content creation strategy. Now that you have a clear picture of who your "readers" are, your goal is to create content that is valuable to them. You'll want to capture their appreciation then drive them towards a sale. If you need some extra help in creating your persona, you can also use an online tool to help you get started. Most of your conversations with prospects may be geared towards selling. But you need to capture their attention before the selling process begins. 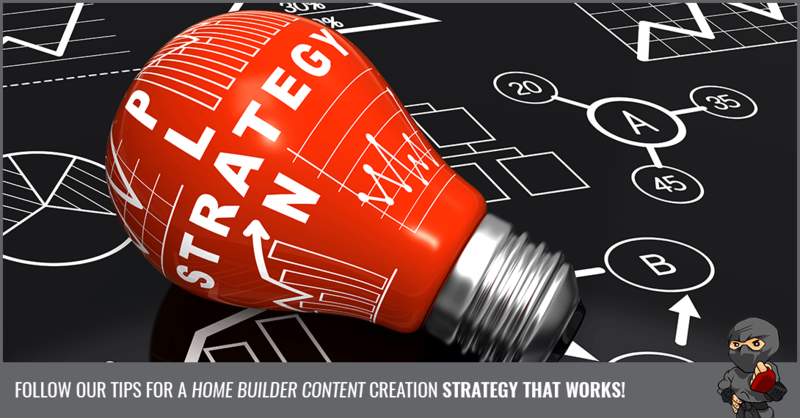 Build a content creation strategy that engages prospects at the start of their home buyer's journey. Prospects at the start of this journey aren't interested in sales. They're interested in learning more about what the buying process entails. They want the best insights before their serious consideration begins. You can become an asset to these beginners from the start. That's why your content creation strategy needs value-added content. This is content that's useful to potential buyers in and of itself. You'll start by determining what your ideal buyers want. This should be incorporated in your buyer personas. What information are they seeking before they're ready to make a purchase? There are dozens of approaches to value-added content. This can include advice for building in local regions or checklists for home buyers starting their search. The content should be agnostic in terms of your brand. Inbound marketing is a process of using value-added content to drive sales. This strategy involves engaging prospects most likely to buy from you. Do this first by providing value-added content that aligns with your business. Use your content as a lead generation tool. You should also define clear metrics for your content creation strategy. Measure your success based on qualified leads or sales, for example. There are several content marketing techniques for engaging potential buyers. This includes types of content and the way you manage content internally. Keep a value-added, inbound mentality as you build out your solutions. The following five techniques should become key parts of your content creation strategy. Prepare to manage content and begin engaging buyers like a pro. Content marketing is about consistency. Visitors to your site who see year-old posts at the top of the page will lose interest. You need fresh, consistent content to show visitors you're active. Your calendar is a critical part of your content creation strategy. Be smart about scheduling and publishing in the right context. For example, certain days or local events should help you determine what subjects are right for when. Start with brainstorming common questions your target audience will have. Are you targeting customers in a certain age group? You might want to write about the best retirement homes or communities, for example. Be realistic. You know your in-house writing capabilities better than anyone. Don't hesitate to bring in outside help if you find a strong demand for your content. You'll also need to choose the right content formats. This should be included in your content calendar. We'll discuss content formats below. Content management is a key challenge for builders. While it's pretty straightforward to lay out your content calendar in advance, executing that content while managing other aspects of your business can be a different story. Be prepared to dedicate resources to managing your content, as well as the publishing and distribution of content. Choose a single person internally who's dedicated to managing this process. This person's job should be to ensure all content is published successfully and on time. He or she should also do what's necessary to optimize that content for different publishing formats. Finally, invest in a digital platform for content management. There are free platforms such as Hubspot available with intuitive interfaces for anyone to use. Speak with a home builder marketing professional to choose the best solution for you. Every successful business marketing strategy starts with a blog. Mastering your blog content should be the first creative step in your content creation strategy. But there are many more formats that will work for the right brand. Blogging is the most popular and most effective digital content format in business. You don't have a content strategy without a blog. Marketers who blog receive 67% more leads than those who don't. List articles consist of headlines that state the articles' purposes. Readers will understand their value and what they stand to gain. Those who like the topic won't fear they're wasting time. List articles are popular among visitors because they're easy to digest. This is great for home buyers who are looking through several websites at the same time. They'll find your content approachable and are more likely to engage. A list article's content should be helpful and simple. A common format is "10 Easy Ways to Save On Your Next Home Project." Here you establish your authority and your thoughtfulness as well. Ebooks are long-form, downloadable files containing value-added content. Use Ebooks to share your best market insights with potential customers. Use a form to capture qualified lead information when prospects download the report. Templates are a simple lead generation tool. They're also a great fit for home builders. These are things home buyers might need and they can get it from you for free, such as moving checklists and budget outlines. Don't wait for buyers to call you up and ask. Share important templates and documents online. As with ebooks, request a customer's email or contact info to access them to help with lead generation. Make sure your template page is SEO-friendly. Browsers may be looking online for these specific templates. You don't want to miss out on that great traffic. Providing templates is a passive way you can help them succeed. Templates rarely need updating and your visitors will appreciate the free resource you offer right away. Instructional videos are a more complex form of content. Unlike writing, you need tools and the ability to provide value through live action video. But if you know what you're doing, it can be a huge asset. First, visitors will see who you are. If you're friendly and helpful, you'll have an edge over competitors. Potential buyers will know right away what they're getting. Share your best knowledge and insight in the field. This is a great way to make your appeal skyrocket. Be sure you end each video with a clear call to action. Social media should be a part of your strategy as well. In many cases, these posts will link to website content. But you can leverage social media to engage with prospects in creative ways as well. There are dozens of other formats for engaging potential customers. Don't take on too much at once. Stick to your calendar and what your team can manage. Context and location marketing are two newer content creation strategy elements. But context is proving to be a valuable asset to content marketers. Think about how you can personalize content for your buyer personas. Consider at what point in their buyer's journey you want to engage. Your goal is to engage them in a given context that will maximize long-term sales. Generally, you want readers to feel your content was created just for them. Your buyers are a product of the context around them. If your content solves their immediate problems, they're much more likely to engage. The attention-grabbing value you add to your content is its most important feature. But without a call to action, it's all for nought. A call to action is exactly as it sounds. It's a suggestion at the end of your content that prospects take a desired action. This could include subscribing to a newsletter or contacting you directly. The call to action is a powerful tool for boosting conversions. It is also one of the most difficult to master. You have only limited time or text to inspire prospects to act. As you generate interest, track your progress. 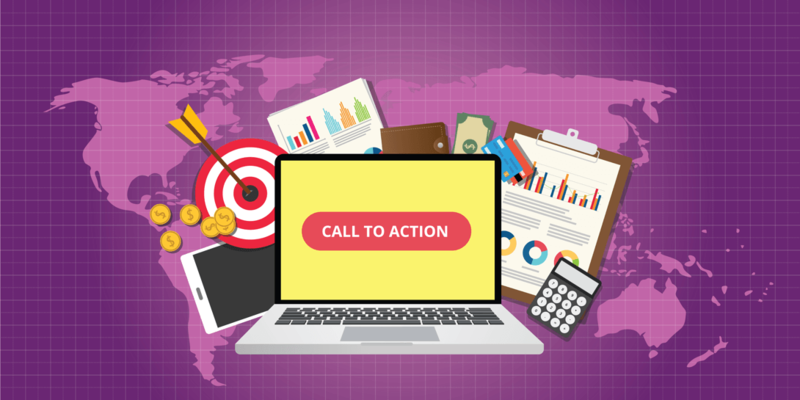 You should measure which calls to action are generating the best results. Be sure to use the success metrics you outlined when developing your inbound strategy. If you're new to content marketing, don't go it alone. Marketing Ninjas specializes in marketing services for home builders. Our easy and powerful solutions get more qualified leads into your showhomes. Nobody understands the 'home buyer's journey' better than Marketing Ninjas. 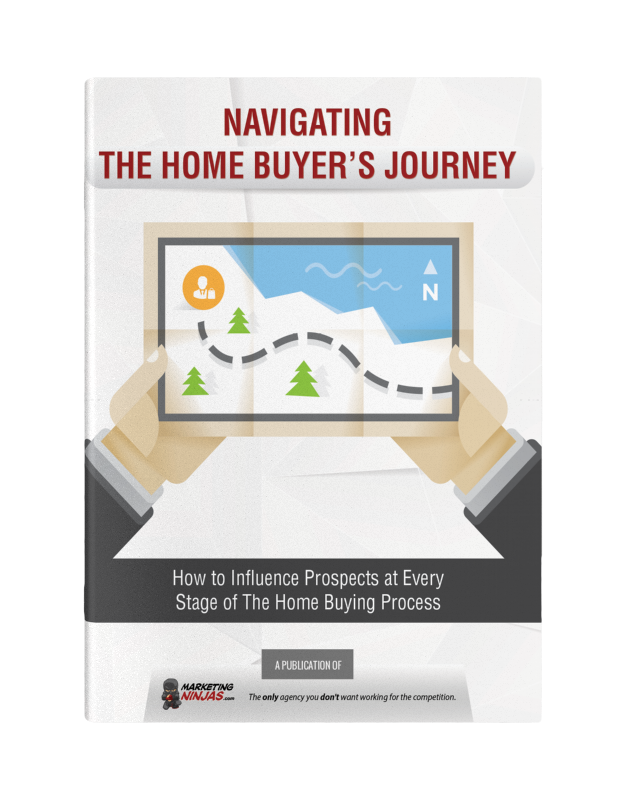 We've published a free report about navigating the home buyer's journey. Selling begins with first contact, not only when customers are ready to buy. It's time to stop missing out on those qualified leads. Let's start a conversation about your marketing program. We'll jumpstart your content creation strategy and your sales. Mark is a major player in our content department, working closely with clients and other team members on project management, researching, editing/writing, proofreading, planning and so much more. All on the power of energy drinks!